i was thinking of buying a duo / duo r /duo rx to have only one box standing around. Apart from that do i need anything else (i know i'll probably need a multitap...) ? what's it with the different memory extension cards? Get a PCE CD too, really cool games for that as well. Looking for working Taito Speed Race CL-5 or any versions thereof TTL all boards or Taito Grand Champion fully working condition only please. Beware that the briefcase cd systems don't really support CDRs that well, so if you plan to burn discs, don't bother with those. *maybe* it'll work, but no amount of tweaking could get mine to reliably read audio on some games, even with great cdr media, low burn speeds, etc. It's just not worth the time. An ODE could chamge all this, of course. I think a white pc engine (or core) with Super SD System 3 is probably a decent way to go, although they need some modding to fix some silly video and audio pathway issues. So it took me a while to wrap my head around all the different versions of this. There are a few different variations of this in different colors but they're essentially the same. you can get a Turbo Everdrive to emulate the game cards. The PCE, CD-ROM2, IFU-30 are all separate parts, the PCE also needs a special system card to play the CD-Games, there are a few different system cards for this, some of which are more expensive then the rest of the parts combined (thats a whole other topic itself). For the most part these are decent and robust, the CD-ROM2 drives usually have belt failures or motor failures that are easy to fix. I personally own a Briefcase setup, because Deunan (the man behind the GDEMU, Rhea, Phoebe, and Doc Brown) is developing an ODE specifically for the CDROM2 units found in the above devices. This emulates the CD-ROM2 drive and game cards in addition to providing RGB output. I believe you don't need the special cards either. I've heard mixed reviews but I have no experience with it personally. 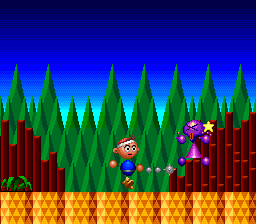 This will only work with the PCE though, not the Turbo Graphix and not the Duo Systems. Then you have the Duo Systems which combine the PCE and CD-ROM2 into a single unit. It's my understanding that the Duo used really low quality components and is prone to cap problems, so you want the Duo-R. I think the only Difference between the Duo-R and Duo-RX is that the RX came with better controllers. 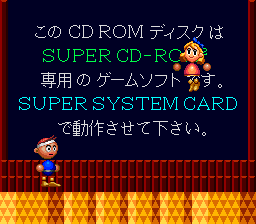 The cons here is that there is no ODE for the disc drive, nor is there one in development (though presumably once Deunan finishes the CDROM2 unit he'll make one for the Duo). One of the big Pros here though is that you don't need any of the special/expensive cards for the CD drive like you do in the older CDROM2 units. If you want the most fully emulated setup: get a PCE with Super SD System 3. If you want a setup that emulates the cards and the discs separately get an IFU-30 briefcase setup, a Turbo Everdrive and wait for the Deunan ODE. The post was edited 2 times, last by twistedsymphony ( Oct 24th 2018, 9:07pm ). The Duo-R is a great model, and generally very reliable. That said, get it recapped anyway - through-hole caps generally last longer and don't leak like the SMD caps used in the regular Duo, but they still dry out eventually and cause glitches. A recapped Duo-R should be rock solid for you for many, many years. To keep it short, definitly get a Duo-R. It has the least shortcomings of all the options and the most benefits. This was my choice, as I feel it will be the most faithful. The Super SD System 3 has known issues of both audio and video noise, please see My Life in Gamings review. You know burning CDR for the briefcase is also a fine solution while you wait for the ODE. If you want to go a little fancier route, PCE Works has some great bootlegs unlicensed reproductions. 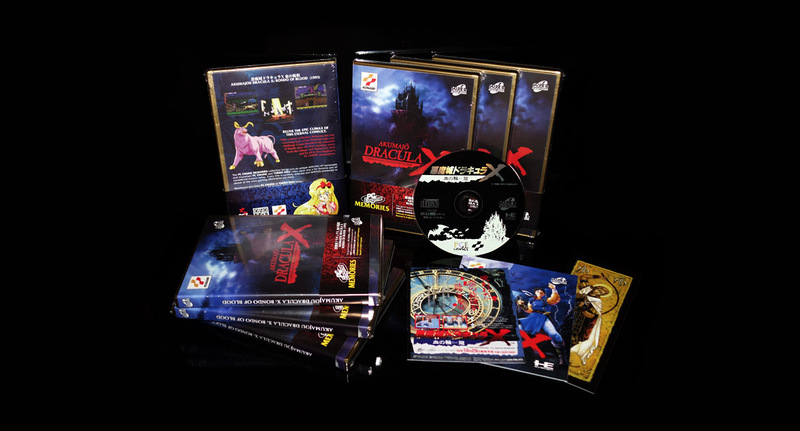 I personally own the Dracula X and Bomberman 94/Bonk 3 represses, fantastic quality. The post was edited 1 time, last by jassin000 ( Oct 24th 2018, 11:16pm ). I started with a briefcase setup but the lack of an integrated system card, memory management and slower read speeds led to me grabbing a Duo-R, followed by a Duo as I have a soft spot for PCE. As mentioned, I notice that the Duos load CD games a lot faster. Having sys card 3 built in is handy and at least there's a small amount of room for save data. Duo-Rs are great as they tend to be easier to find in a working state. I do prefer the black Duo though, better quality PCB and headphone Jack. Core Grafx with CD add-on is another option but the CD add-on always needs a recap and it's a bit of an awkward setup. 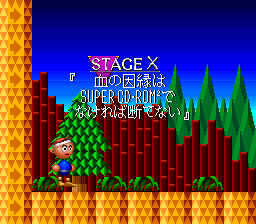 But with system card 3 built in... How can you play this stage (X) in Dracula X? Neat, did not know about that! Could you use an older system card inserted into a Duo, thus bypassing the built in sys3 card? Apparantly it happens when you try to run Dracula X without an adequate system card. Like a little mini game parody telling you to use system card 3. I have : white pc engine , coregrafx II and a supergrafx . if you can , grab a supergrafx , but also ... u can plan to get a de-10 nano for MiSTER project with an IO board and xs SDram board and you'll have a nice journey with this new jewel!